The wavy style that has been adorned with inexperienced AD stones is that the final winner. This superb set has been created out there in 3 common sizes. 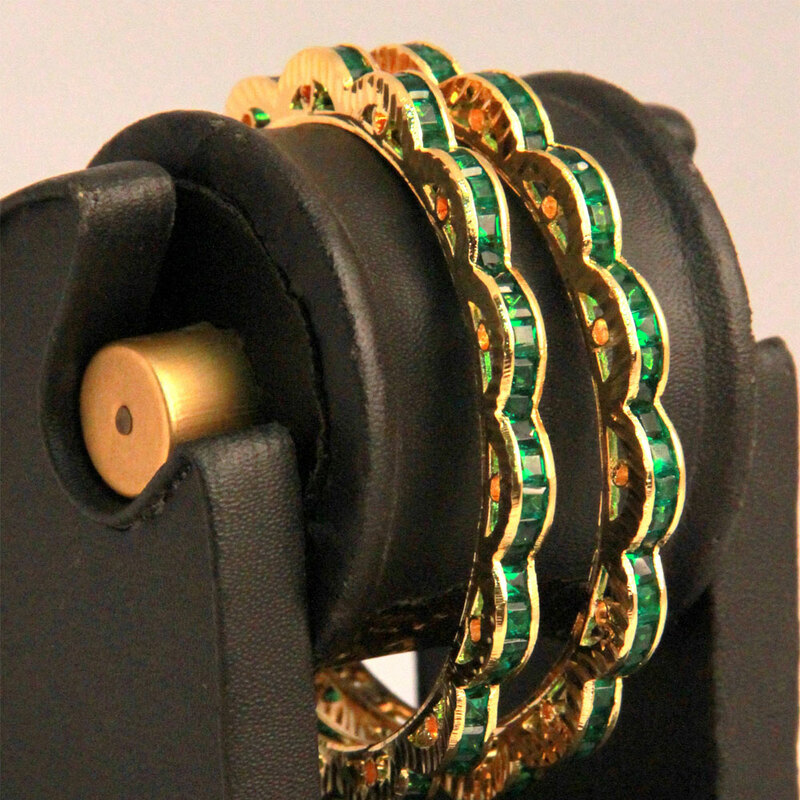 What makes this pair of designer bangles truly unique is the exclusive design set atop the solid brass metal base layered with micro gold. The Read More..wavy design which has been decorated with green AD stones is the ultimate winner. This amazing set has been made available in three common sizes. Show Less..